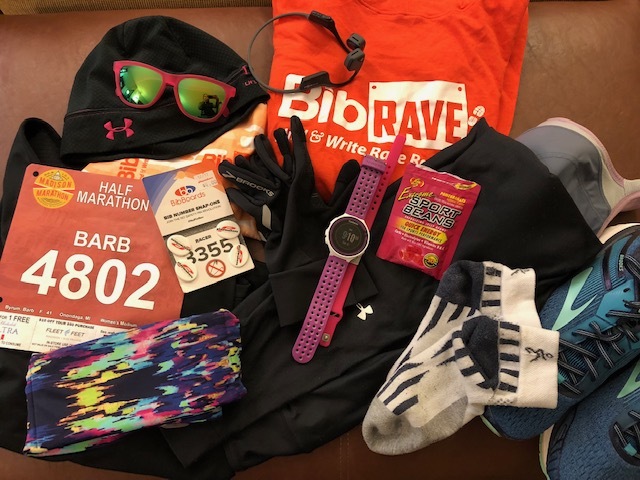 Disclaimer: I’m promoting the Madison Half Marathon as part of being a BibRave Pro. Learn more about becoming a BibRave Pro (ambassador), and check out BibRave.com to find and write race reviews. 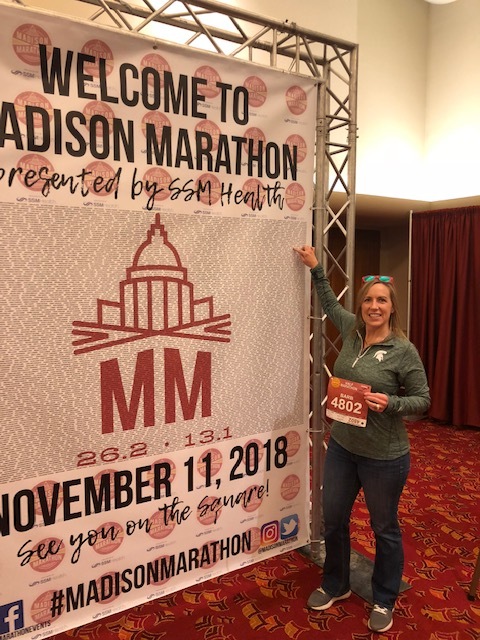 Back in April when I had the opportunity to register for the Madison Half Marathon, I was excited for the race prompting a birthday weekend away. I was able to secure a reasonably priced flight from Detroit (DTW) to Madison (MSN) and brought my spouse along for the fun. While out exploring on Saturday morning, I came upon a farmer's market along the Capitol Square that had a host of vendors offering vegetables, meat, cheese, muffins, cookies and more. It was a really nice market, especially considering the temperature. I learned that after this weekend, the farmer's market will move indoors to the convention center. Old Fashioned offered an amazing lunch for me and brunch for the spouse. The race expo was small but had everything that a runner could need. Fleet Feet Madison had a large set up for runners to purchase anything that they might have forgotten. I forgot to grab my sunglasses so I snagged a pair of Goodr Flamingos on a Booze Cruise (aka pink) shades. 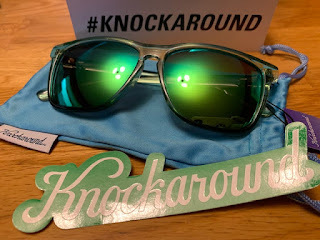 I have never tried Goodr sunglasses, but had read BibRave reviews and thought for $25 I might as well try them. I located my name on the Welcome banner, took a picture and headed out for a pasta dinner. Race morning came early and it was cold! Honestly, I will probably think 25* is warm in a month, but I did not get much of a temperature transition, this year, so it seemed really cold. I met up with fellow BibRavePros and we headed off to experience the Madison hills. You would think that I would have read some race reviews to prepare for this new race, but I did not and learned about the hills the night before. The race started at the State Capitol and took runners through the city, passed businesses, along Lake Mendota and through a beautiful neighborhood before returning to the city and back to the Capitol for the finish line. Experiencing the hills was something else! In fact, my Garmin showed that the total elevation was 274 feet! The aid stations were well staffed, but not flagged, so runners could not tell they were coming up, until they were there. PS the best way to drink Lemon-Lime Gatorade is with a thin layer of ice on top. After the race, I took a quick shower and ventured to Dotty Dumpling's Dowry for the most amazing fried cheese curds and chicken sandwich, washed down by a very refreshing Pear Cider. The day after the race, participants received an email with a link to free pictures that were taken along the course and at the finish. For those that qualify for Boston, by running the Madison Marathon: You are my hero! To run a marathon is a huge accomplishment, but to run it with the last 13 miles being the half marathon that I ran: Amazing! What is my next race? I honestly do not know. I am planning on the Publix Savannah Women's Half Marathon in April, since I had such a great time, last year, but I must do more races before then! I looove free race pictures! How did you like the sunglasses? They’re on my holiday wish list. The Goodr glasses were great.